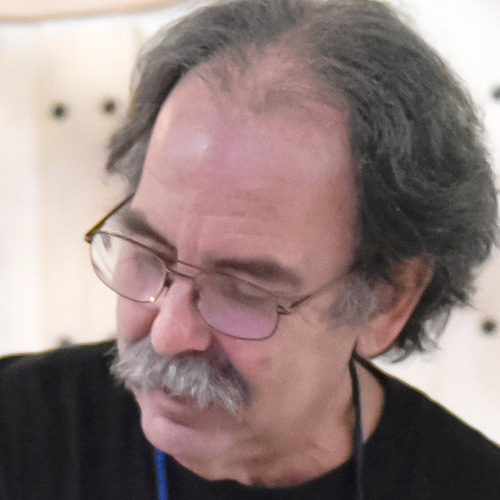 Boat builder and CNC evangelist, Bill Young, shares a lifetime’s worth of witty tales from an era when making was just something people did. I grew up in the 50s and 60s before “making” was called out as something special; it was just what we all did. When I was a kid all we needed were a couple of scrap boards, a hammer, a box of nails, and assorted wheels and hardware and we would be busy for a day building forts, cars and all kinds of semi-dangerous things. Starting in middle school we all took shop class and learned, or were at least exposed to, skills like drafting, woodworking and metal casting. My dad was a mathematician by day, but in the evening and weekends he was in his shop, mostly carving. 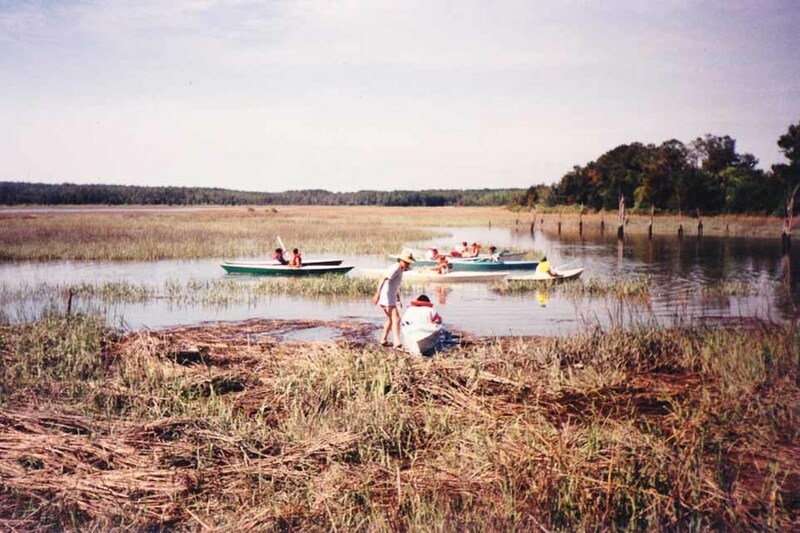 It was my uncle Bill though, an engineer at NASA, that got me interested in boats and boatbuilding. I had a couple of failed attempts at college and worked an assortment of jobs, but always came back to working with wood in some form. I never could hit a nail accurately - still can’t - so a future as a house carpenter was unlikely, but fixing and building boats suited me fine. I hung around boat shops and made enough of a nuisance of myself that I eventually learned some skills and started working as a boat carpenter, repairing wooden workboats and occasionally building leisure boats on contract. I would have been happy to spend the rest of my working life putting odd-shaped pieces of wood into odd-shaped holes in boats, but one birthday my Dad gave me a PC. I wasn’t sure what I would do with it - you could only play so many games of solitaire - but I found a DOS (disk operating system) program called EasyCAD. Fortunately, EasyCAD was just that - easy enough to learn with just enough features to do what I needed and no more. I discovered that I both enjoyed CAD and had an aptitude for designing on a screen, or at least enough persistence. I was still strictly analog at work, but one day saw an advert in WoodenBoat magazine offering a set of boat design scripts that worked within this EasyCAD program. I bought the package and included in it was a flyer for a homebrew CNC machine. I didn’t have a clue what CNC was, but it seemed cool and possibly useful so I contacted the creator. 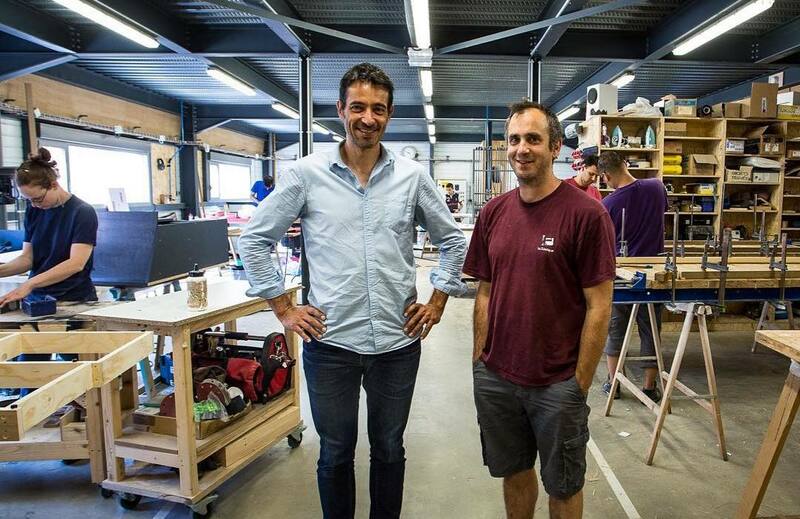 That’s how I met Ted Hall, the founder of ShopBot and became one of the first ShopBot owners in 1997. 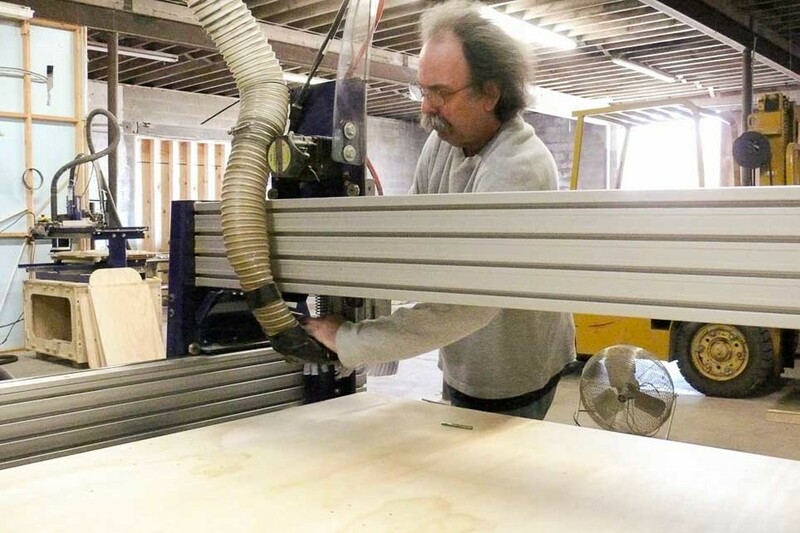 Shopbot was the first CNC machine that everyday people could afford, but there was a bit of a chicken-and-egg problem because, without a base of affordable CNC tool owners, there was no incentive for software companies to create affordable toolpathing software. For the first couple of months, a piece of graph paper and a text editor was the only way to create files and get a ShopBot to do anything. You literally had to draw your design before translating it into machine instructions which had to be written out line by line. Once I figured out how to decipher the DXF format, though, I could create complex shapes in CAD and, with some offsetting and brute force, cut out interesting shapes like boat panels. Since there were so few people using CNC tools back then it was much like the early days of computers. We all wanted to get work done, but we were also pretty evangelistic about this new technology so sharing the things we created seemed natural. We were happy that our designs were being made by others, and ShopBot owners were happy to have things to make. We’re used to the internet being ubiquitous these days, but back in the late 90s it was unusual to be able to download a CNC file or any file for that matter. One of my first projects was to design and build a boat for Ted’s Mother-in-Law, a lightweight lapstrake canoe that would be easy to build with a ShopBot but hard to do traditionally. 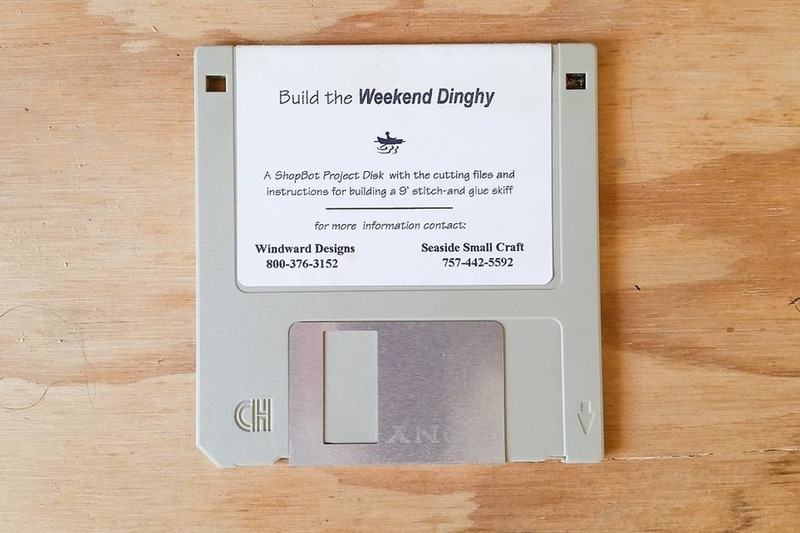 In order to share the canoe design, the cutting files and all the instructions had to fit within 1.44 megs, the size of a floppy disk that we would stick in an envelope and mail out to people! Unfortunately, in the early 2000s, I started becoming sensitised to epoxy, which is the boatbuilder’s holy water and used just about everywhere. I knew I had to stop building boats, so when Ted offered me a job around 2005 I went to work for ShopBot doing what is loosely called “Special Projects”. 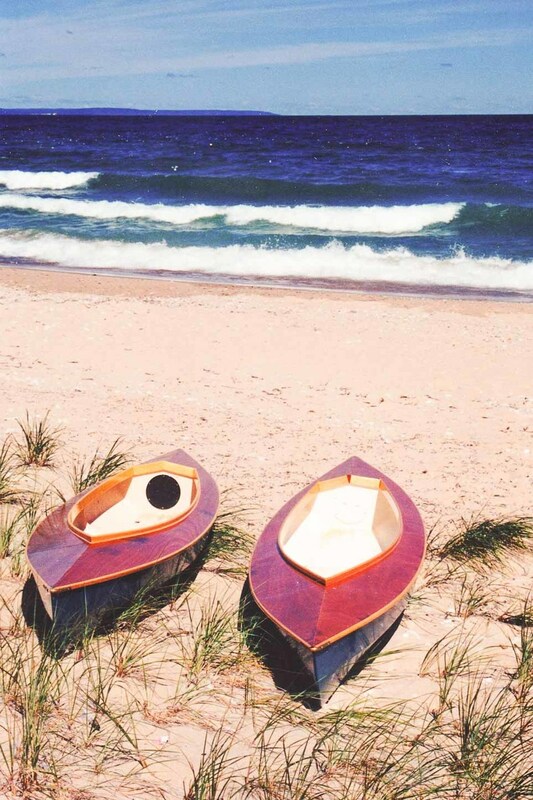 Although boats were the way I had made my living, during the previous years I had also designed and built furniture, toys, and all kinds of other things out of plywood and other sheet goods. I became fascinated with designing items that were held together without traditional fasteners, using features like slots, wedges, and springy hooks instead of screws, bolts, and glue. In the summer of 2007, I had the chance to visit MIT and meet Neil Gershenfeld and his Center for Bits and Atoms team. At the end of the visit, I was introduced to Prof Larry Sass of the Architecture Department and head of the Digital Design Fabrication Group. 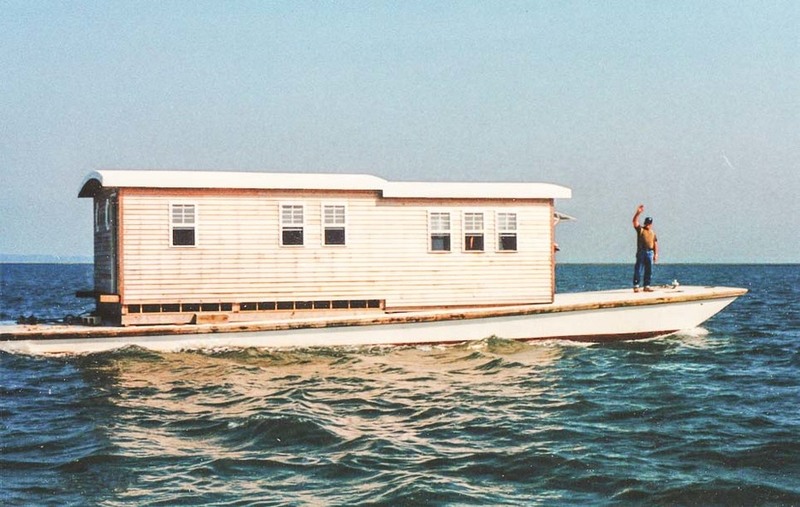 Larry had an idea for fabricating homes that really fascinated me, so when he proposed building a New Orleans style Shotgun house for a MoMA show of Prefab Houses out of 600 sheets of plywood without any fasteners, I jumped at the chance. 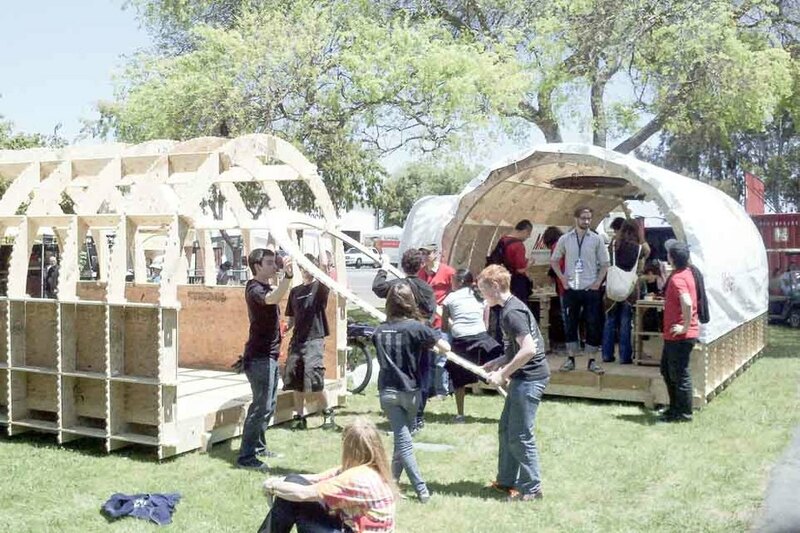 That amazing project led to me fabricating lots of other ShopBot-cut structures, and eventually to found the Shelter 2.0 project in 2010 with my close friend and collaborator Robert Bridges. With the creation of Shelter 2.0, we knew that the only way that the project would have any impact would be if the Shelters were built close to where they were needed, rather than in our shops in VA. So we started working on not only making the files available, but in making them more efficient to cut and more “material agnostic”, so that they could be fabricated from whatever materials were available. By this time sharing designs online had become easier and I still shared these projects freely. Since CAD and CAM tools were becoming more available I could now share design files and libraries of features so that people could utilise them in their own projects. I had also learned about Copyright, Creative Commons, and the problems with just saying “have it” when sharing files and projects the way I had in the past. 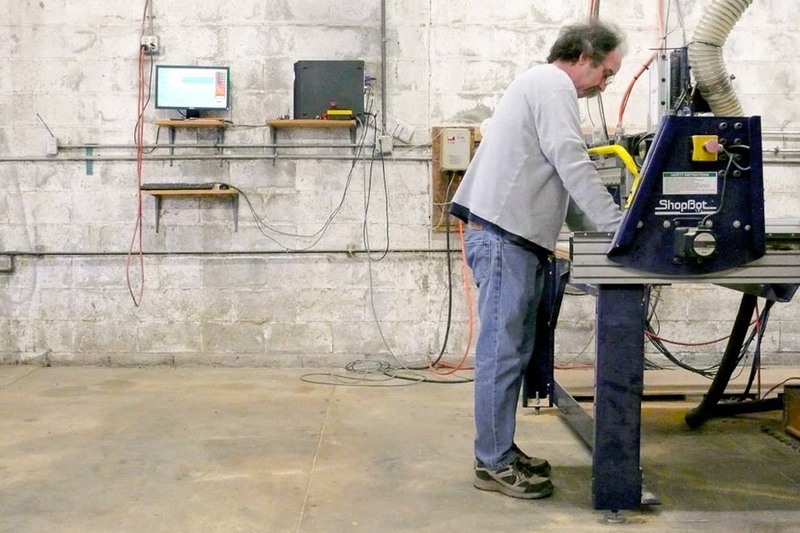 One of the motivations for sharing everything was that in the early days we all imagined that everyone would someday have a ShopBot in their garages and make all the things they needed. 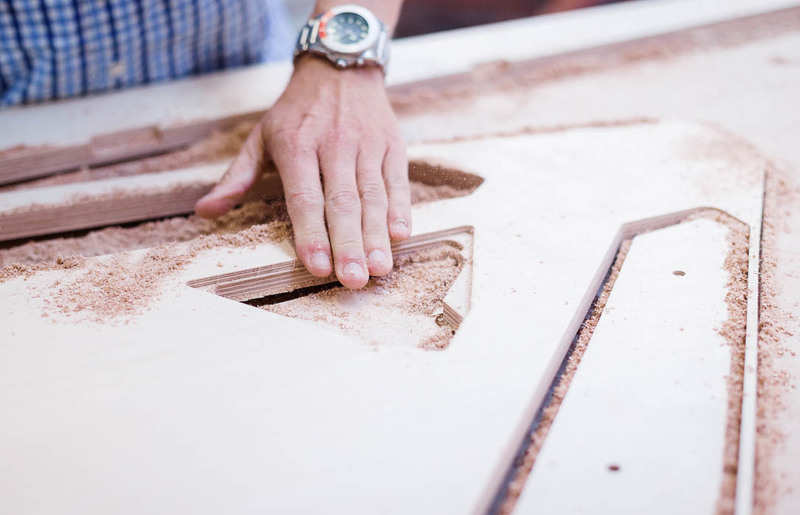 In reality cutting plywood with a CNC machine can be, to paraphrase Rob Bell from Zomadic, “Hard, hot, dirty work” and although there are many of us that love it, it doesn’t appeal to everyone. What the majority of people really needed was access to the output of digital tools, so in 2010 Ted and I collaborated with the folks at Ponoko to create 100kGarages, a free matchmaking service to connect people that have all sorts of digital tools to people that need to have something made. This naturally led us to think about local manufacture in general and how little sense it made to fabricate many products in a centralised factory. Along with the economic benefits of buying locally and keeping the money from both raw materials and final sales in your community, there are economic and environmental “carbon” benefits in not having to ship the products around the world. 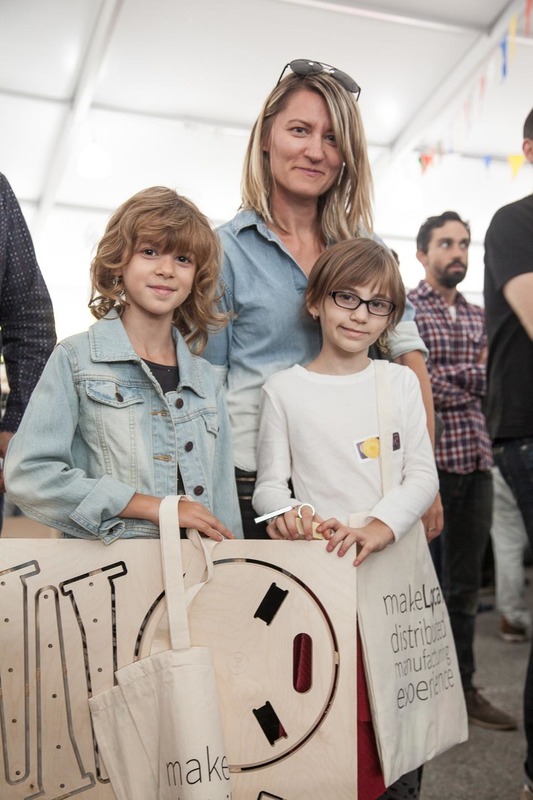 To help illustrate this concept, in 2015 100kGarages and Opendesk partnered in a demonstration project that we called MakeLocal at the New York Maker Faire. We compressed the entire distributed manufacturing experience, with a storefront showroom and fabrication shop, into a 10’x20’ booth. 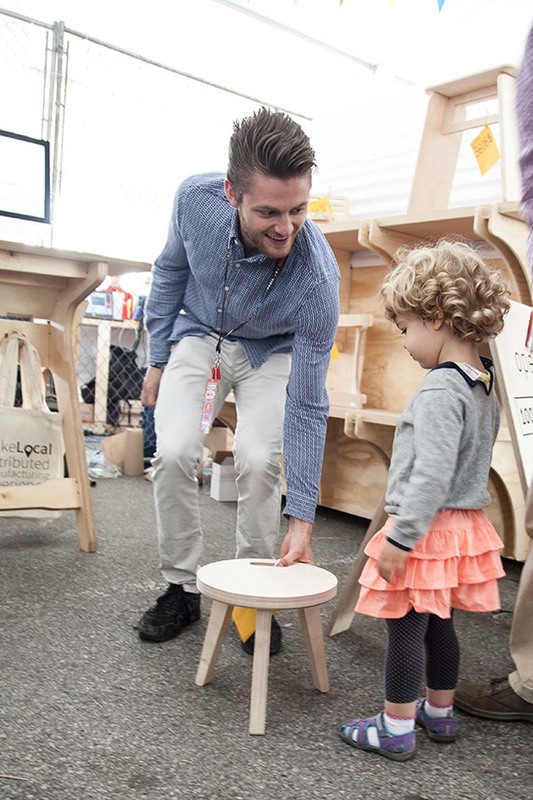 Stools from designers from around the world were sold and fabricated, on the spot and on demand, with proceeds going to each designer. 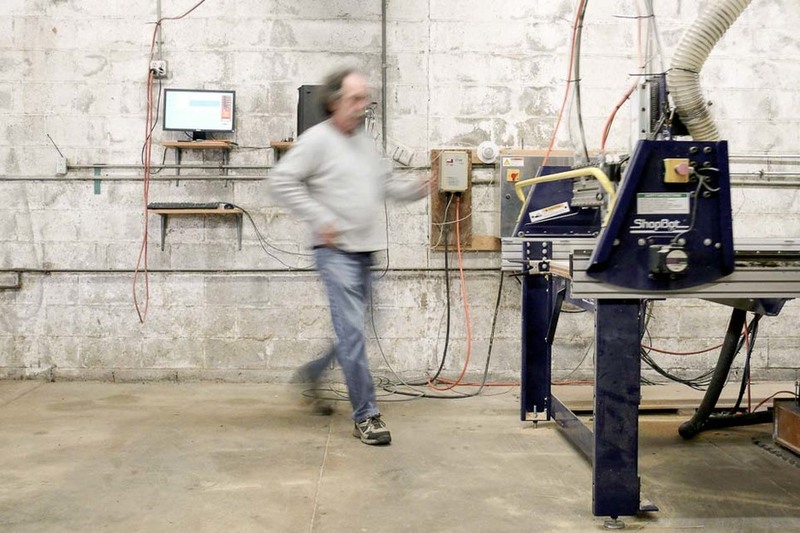 Although on first glance it was just a demonstration of how local manufacturing works into a 10’x20’ space, the bigger picture idea we wanted to get across was that design has value. 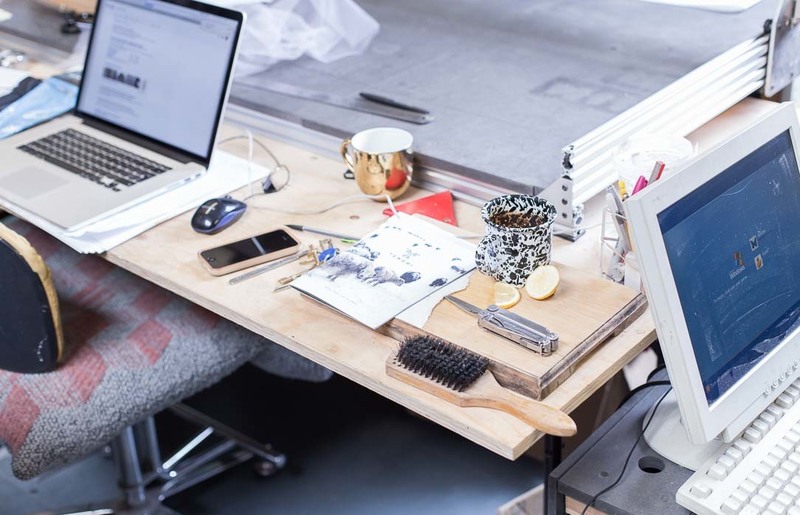 At some point in the future, everyone will have access to the output of digital tools either by owning them, using them in a local makerspace or FabLab, or from a local fabrication shop. When fabrication becomes ubiquitous, content creators will be the most important link in the chain, but there has to be some motivation for them to keep creating and making their designs available. 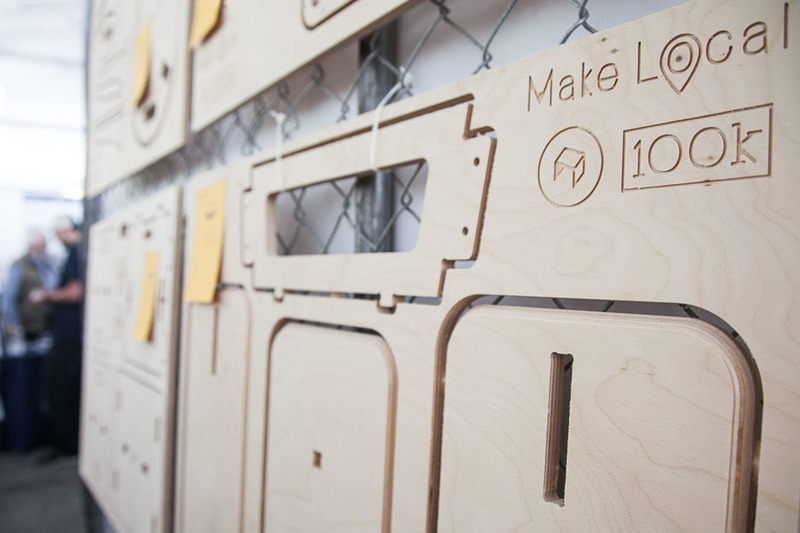 To reinforce that point, we stressed during MakeLocal that the designer of each item that was sold was paid a fee for their design - 8% of the manufacturing cost for the item (similar to the business model employed by Opendesk). I’ve been doing this for a long time now and I’m still happiest in my shop making dust and noise, but my methods have changed a bit over the years. I’m still functionally 2D, making things out of plywood and other sheet goods. I rarely use 3D software unless forced to. I’m stubbornly practical and have tired of battling with the varying thickness of plywood so have a renewed appreciation for hardware. My latest projects tend to use screws and bolts to hold them together rather than friction alone. I’m still passionate about sharing designs and making it easier for folks to make the “stuff of everyday life”, which the Open Source movement has made easier and more commonplace. Although I don’t fully embrace the “free as in freedom” part of the Open Source movement that requires all the tools used to be open as well, I do try to use formats and software that are easily accessible and easy to use. I have fully embraced the “Free as in beer” part of sharing though and almost always make my files available free of charge. Over the years I’ve been fortunate enough to work on lots of interesting projects with amazing people, but the best feeling for me is opening an email and seeing a picture of a design I had done years before that someone had just discovered and made. Makes all the dust and noise worthwhile! I’m a boat carpenter turned CNC evangelist and co-founder of Shelter2.0 and 100kGarages, Mostly I turn plywood into dust and noise. Pt.1 The digital age fundamentally changes the way cultural and creative industries work.